For years, IKEA has been my favorite place for aimless walks. Even while I was pregnant, my husband and I spent most of our weekends not at Toys ‘R Us, but at IKEA. And as for pregnancy food whims, I was hooked to their Swedish Almond Cake. I must have had it for at least a dozen times. So much so, many a times we drove for about half an hour just to eat this cake at IKEA! The thing is that recently we celebrated our 5 years of married life and I thought what better way to celebrate it with the food that we have loved over these past years. And thus I made Chicago Deep Dish Pizza for dinner and baked this Swedish Almond Cake for dessert. The most difficult part was searching for the recipe that I can roll my dice on. You see I was making it for the first time on our anniversary eve, so there was no room for mistakes. 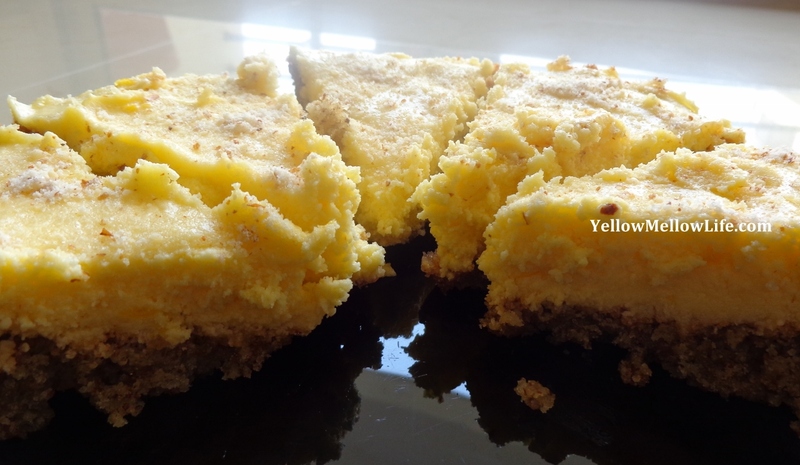 Lucky for me I found a perfect recipe in Terese’s blog The Country Basket. The original recipe served 24. I tapered down this following recipe for 10-12 people and did some other edits to the recipe as well. If you have whole almonds, ground them in a food processor. You have to make them of consistency similar to that of granulated sugar. Once that consistency is achieved, quickly stop the processor or else you would have made almond butter instead. 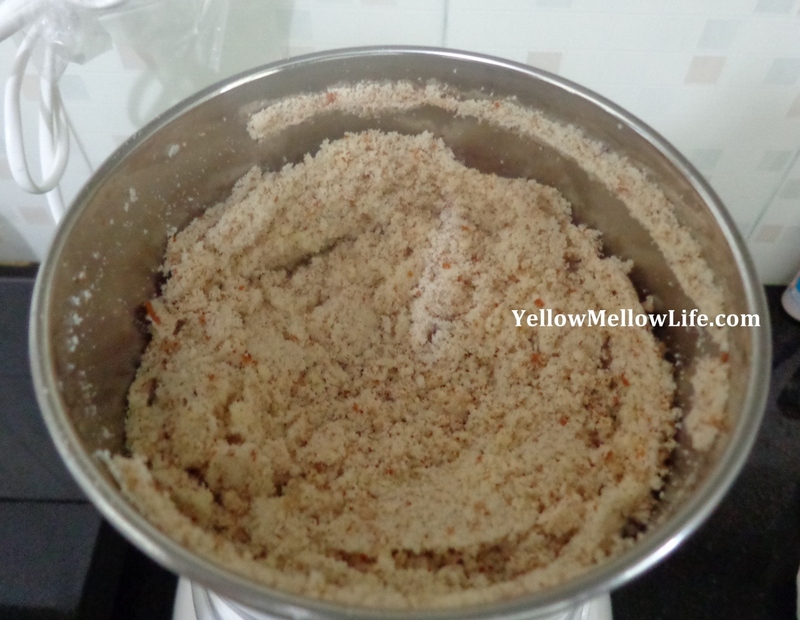 You would require around 1 and a 1/2 cups of ground almonds so adjust it accordingly. 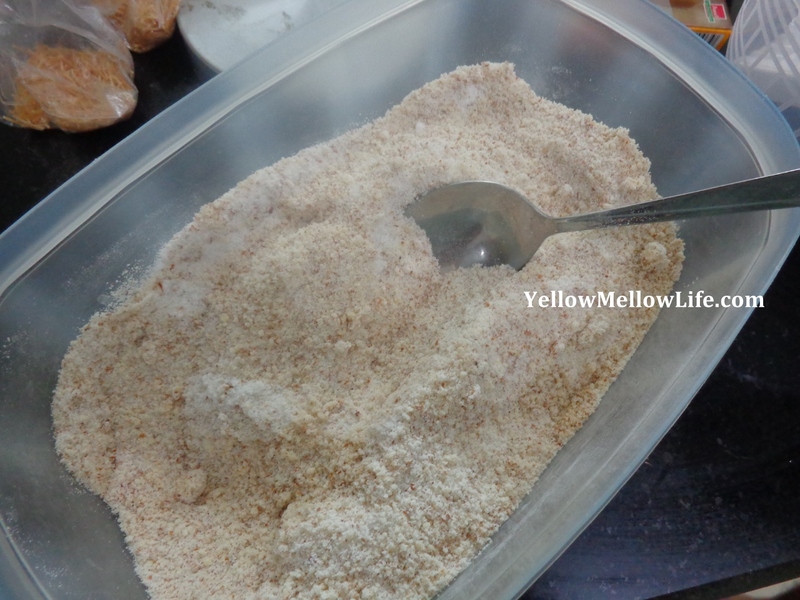 In a separate bowl, mix together, ground almond, baking powder and sugar. Now you need 4 egg whites. I searched over the web the best technique to separate egg whites and yolks. There is so much mentioned over the internet about this separation, I thought the process is super difficult. I consider myself clumsy and therefore I thought I would fail at it. I finally decided to use the egg shell itself to separate whites and yolks. To my surprise, it is super easy. What is required is just a little hand-eye coordination. And if I can do it, anybody can! 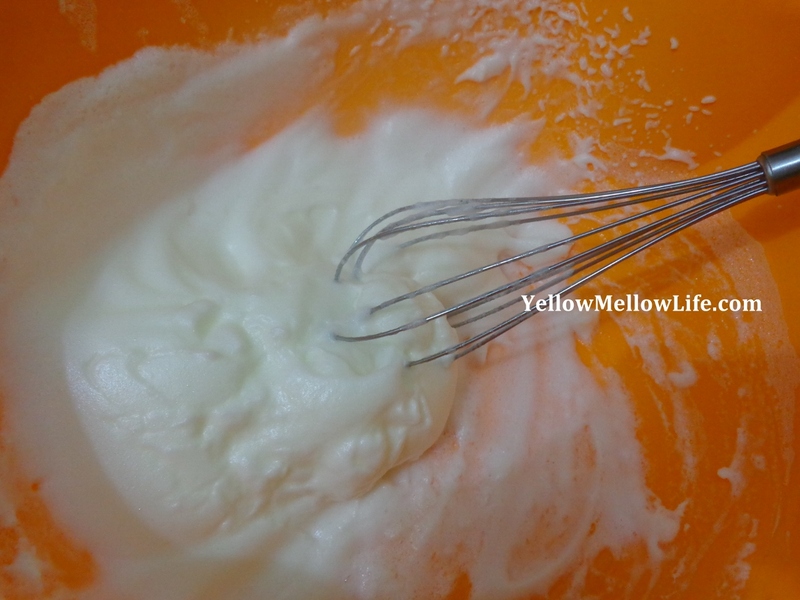 In another bowl, whisk egg whites until it gets stiff and holds in the bowl even when you turn in upside down. The whisking can be done by an electric whisker but I remembered seeing a very old episode of Jamie Oliver’s The Naked Chef where he whisks them with his hands. So I got a little adventurous and did it with hands and a simple whisk. It took time but I enjoyed it a lot. After the whites are whisked properly, add in the vanilla essence drops and whisk a little more. Gently fold the foams egg whites into the almond mixture. Don’t mix, just fold and bring it together. At this time, you would want to line your baking dish with a parchment paper. Though you can do the good old thing of oiling and dusting the baking dish, but almond cake being crumbly would fall apart if you take it out of the dish warm. And if you leave it in the dish till it completely cools, it will take a lot of time. So the best thing would be to line the baking dish with parchment paper, and take it out in 10 minutes of taking out the dish from the oven. This way it will cool quickly and you won’t have to wait to apply the frosting. Well, I didn’t put the parchment sheet and thus waited for more than an hour for the cake to cool. So just put the batter in the baking dish. Bake the cake in the oven at 350 degrees F for around 45 minutes. Perform the toothpick test and you would know when it is done. As the cake gets baked and subsequently cools, you can prepare the frosting. 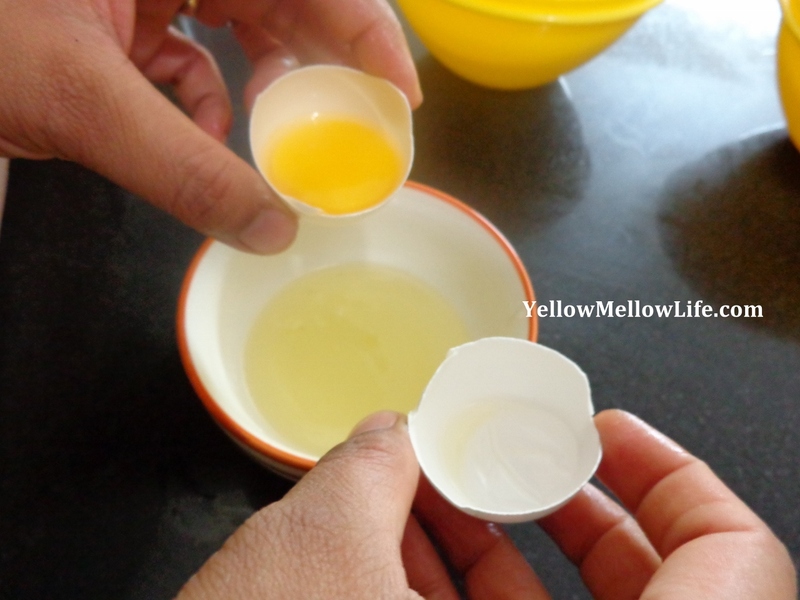 Mix together egg yolks, heavy cream, sugar and vanilla essence. Put this custard in a heavy bottom pan and bring it to a boil. You would have to constantly stir it as you boil it. After a single boil, take the pan off the stove and cool it completely. 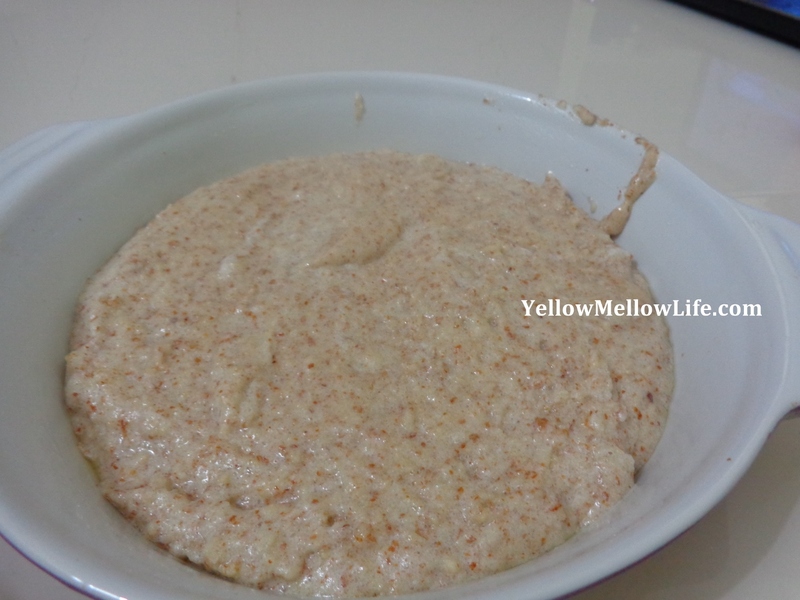 Once cooled, add softened butter and beat well till you get a nice thick creamy consistency. Once the cake is cooled completely, apply frosting generously. Sprinkle ground or chopped almonds on top. Refrigerate this cake overnight so that the cake and the frosting toughen up a little. The next day, cut into desirable pieces and enjoy. Once the cake was made, I realized that my frosting is a lot as compared to the size of the cake. The quantity of frosting ingredients that I have mentioned here in the recipe is less than what I used, so you will not end up with more frosting and less cake. And even though I had a lot of frosting, I didn’t mind it because it was rich and melted quickly in the mouth. It didn’t even bother my husband who is not much fan of anything sweet. Thanks Terese for sharing this wonderful recipe with us. 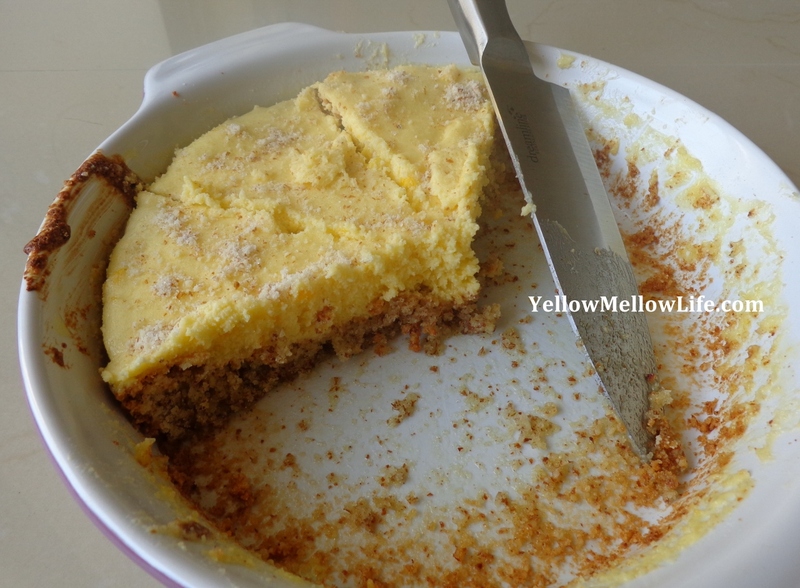 I am highly indebted to you because this cake freshens up so many of my golden old memories. I completely agree with you that even though the cake is not exactly the same as IKEA’s, it is far more richer and tasteful. The only thing missing was a Swedish flag on top! 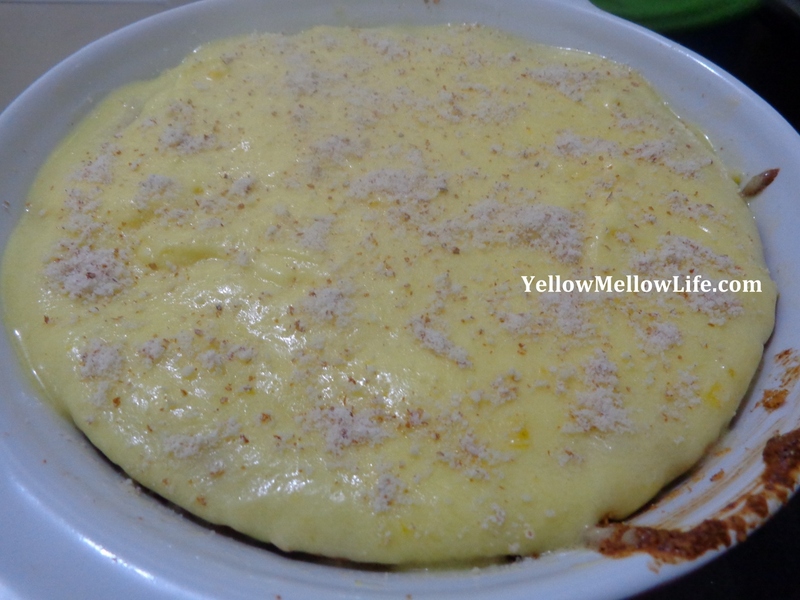 Then join our YellowMellowLife family and get exclusive updates, tips, recipes and printables! Udita: Come to Bangalore again and there will be another cake waiting for you! Preet: Sorry, I have not tried it without eggs. But a fellow food blogger Sarika Singh has mentioned that we can substitute 1 egg with 1/2 banana or 1/2 cup yogurt. This substitution you can use for the base of the cake. For the frosting, I guess you can use any non-egg frosting. The soul of the cake is in the almond base and I bet it will taste equally good with any frosting. Do let me know how did the cake tasted without eggs. Love. And as I have mentioned in the blog, I love the cake because I and my husband enjoyed it together on so many special occasions! With your recipe, we don’t have to drive all the way to IKEA to get it!